Build Your Own Escharotomy Man! 1. 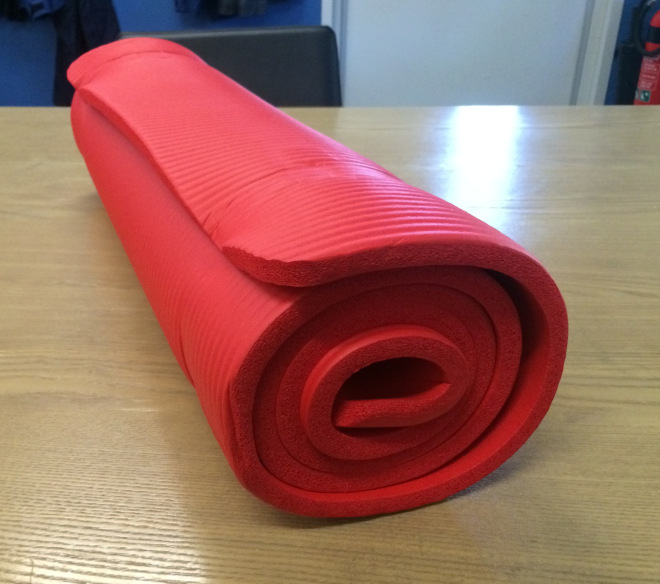 A thick foam yoga mat (red or pink). 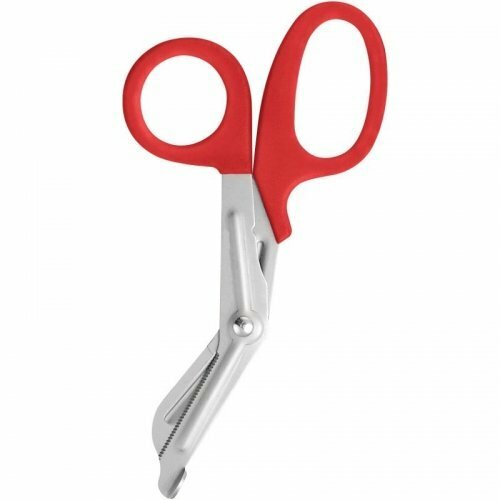 This one was $10 from K-Mart. 2. 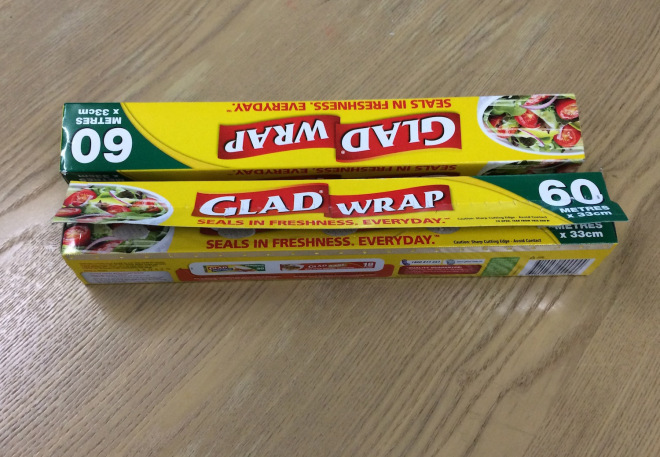 A roll of Cling Film (Glad Wrap). 3. 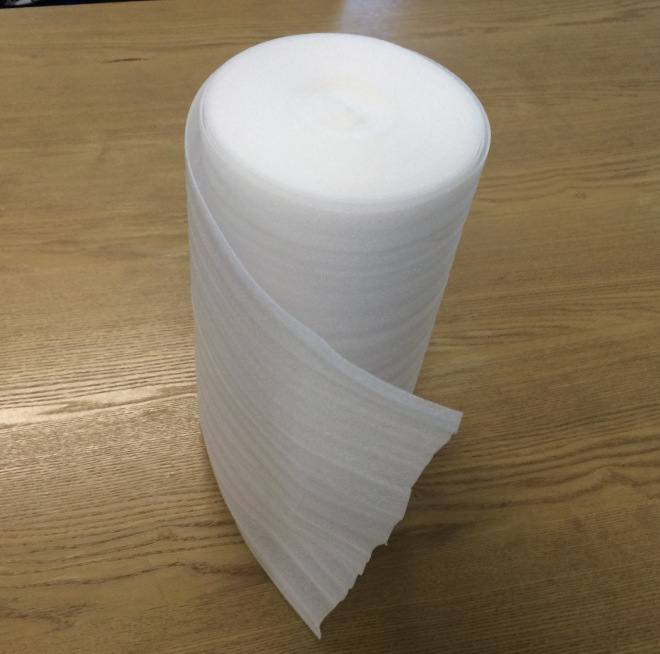 A roll of thin packing foam — the sort of stuff your new TV comes wrapped in. 5. 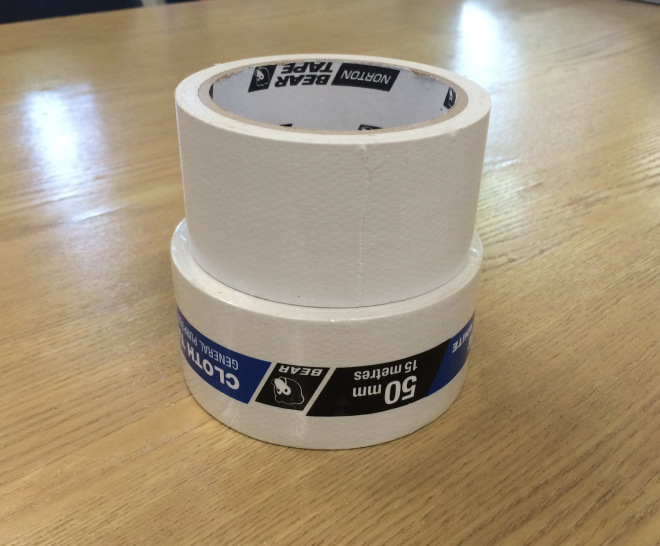 Around 4-5 rolls of white Cloth Tape (similar to Gaffer tape but much cheaper). 1. 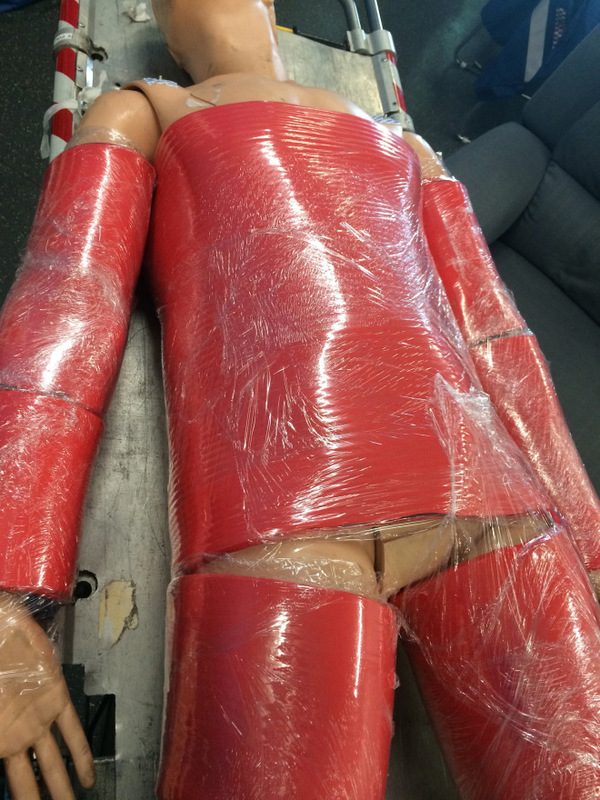 Cut the yoga mat into sections and wrap circumferentially around the torso and limbs of your mannequin. 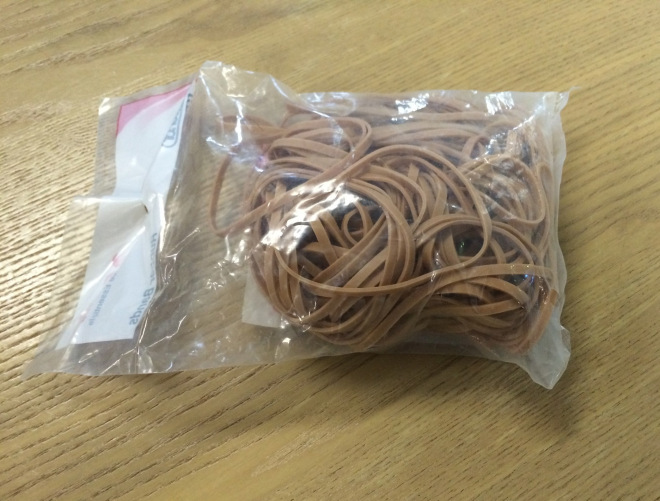 Wrap cling film firmly over the top to secure it in place. This red/pink layer represents the viable tissue beneath the eschar — i.e. the end-point of the escharotomy procedure. 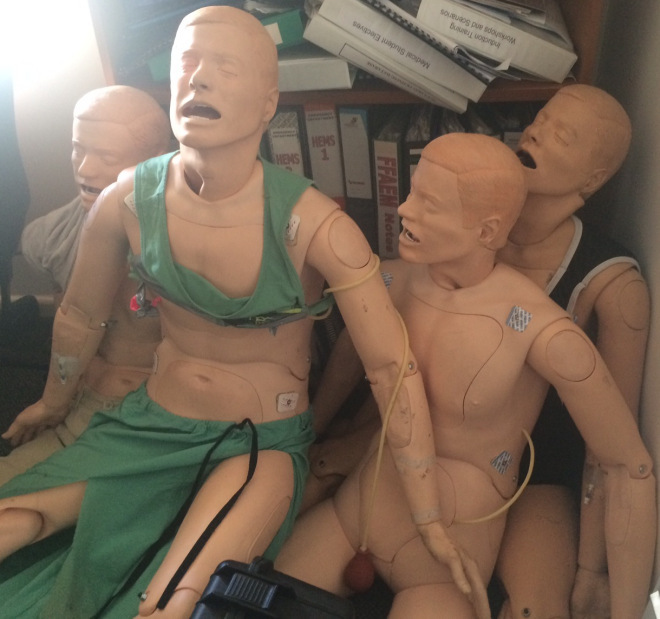 Mechanical CPR: Three CHEERS or a boo?